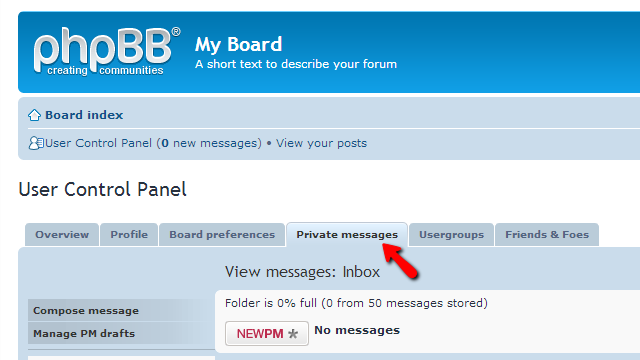 The personal communication between the users registered on your board is performed via the “Private Messaging” feature implemented by default in the phpBB platform. 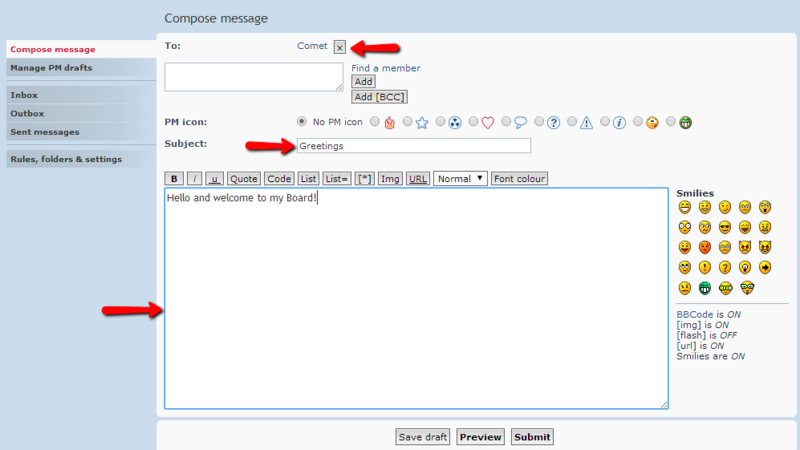 In this tutorial we will show you how to use that feature in order to send a Private Message to one of the users registered on your Board. In order to access the messaging features of the phpBB platform you will need of course to login as a member or administrator in the frontend of the platform. 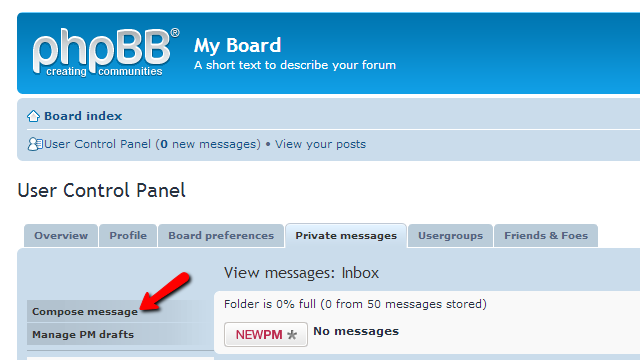 Once logged in you will notice a statistic about the new messages at the top of the page. Now click on that link and you will be redirected to the User Control Panel page and the tab Private Messages will be automatically displayed. Click on that tab so you can access the Private Messages section. In order to have a private message created you will need to click on the Compose Message link from the left vertical menu on that page. This link will redirect you to the actual page where you will be able to write your message and to respectively send it. For a valid message to be send successfully you will need to fill all of the mandatory fields on that page like the nickname of the member, the subject of the message and the body of the message. 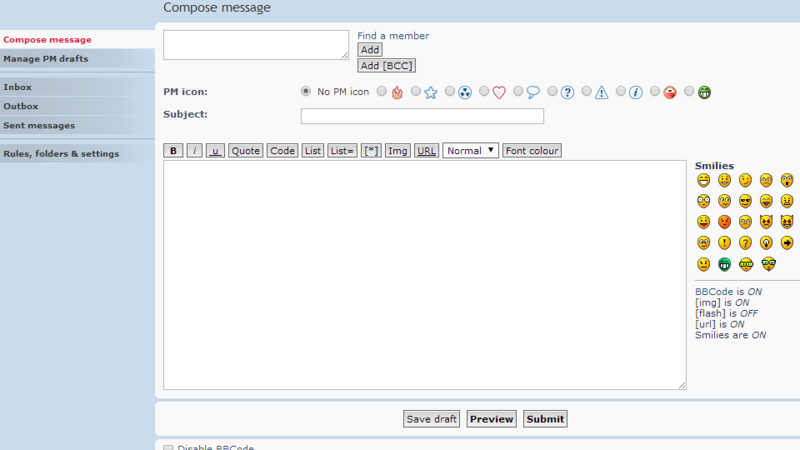 Once you are done filling these required fields please use either the Preview button for previewing how the message looks like or the Submit button to send the message to the selected member. That is all! 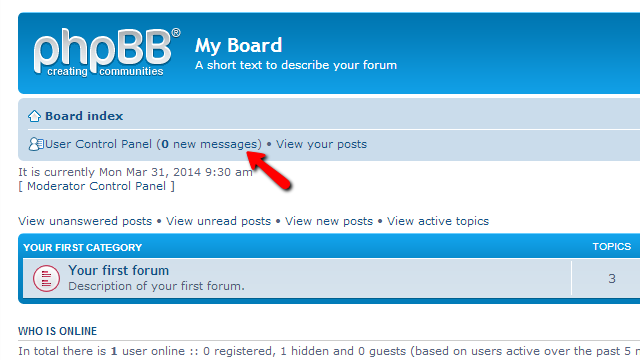 You now know how to send private messages to other registered users on your Board!